We all got into our ride, and drove onto the island that is China's version of South Beach - Xiamen. Seriously, this city was full of streets sporting Gucci, Abercrombie, and Saks Fifth Avenue...capitalism in full effect. We pulled up to a very modern-looking hotel, and checked in before going to the Ling-Ling circus coliseum for rehearsals. 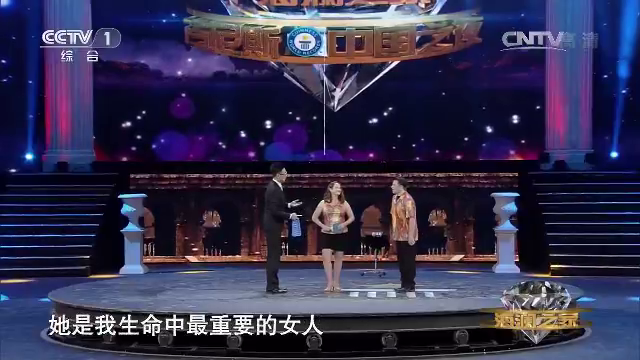 Normally held every five years in a Beijing studio, the Guinness World Record Breakers show this time was being filmed in a cavernous arena that was the home of Xiamen's permanent circus attraction. With a 100-foot ceiling, a large revolving circular stage with central lift, and amazing lighting, all the contestants were well impressed. As with many television productions, there was a lot of waiting around until it was your turn on stage, but it gave Marlo and me time to meet some people with fascinating talents that ranged from memorizing QR codes (um...HOW does one even do that?) to individuals that could hold their breath while submerged for upwards of 18 minutes!! Once the producers finally get around to our portion of the show, we line up the sequence of tricks, and determine the blocking as the segment progresses, and we finally meet my competition - a Chinese circus performer (not the Ling-Ling circus) named Xian, who held the previous record for continuous spits-and-catches of two ping pong balls in the mouth. So, after a day of sightseeing, it's time for the big show-down. I'm a little bit nervous, as I've been practicing for the past few days every few hours, and only once have been able to go past my record...with an attempt of 250 catches (beating my best by 38). But even if I couldn't do it on the big stage, my competitor would need more than 212 to re-secure the title. Lights up, and...action! Marlo and I are lowered into the pit, filming starts, and we do our famous ping-pong- ball-and-paddle trick as we emerge amidst a cloud of smoke...finishing with a flourish. After chatting with the host of the program - who apparently is a big celebrity in China - out comes my competitor. We are informed that we will take turns attempting to break the record, with the challenger going first. He rips off an impressive first run of 130, and I counter with...27. Ugh! Well, we BOTH came up short, so whatever....just gotta have the ball NOT bounce off my teeth. Second attempt by my nemesis - 30. I guess he's human after all. I dig deeply, and manage 135 - far short of what I need, but a step in the right direction. Final attempt coming up...either one of us will get a medal and certificate from Guinness, or we just both go home, with my retaining the title. Xian starts out shaky, but settles into a steady rhythm - pop pop pop pop pop - while Marlo and I are counting - silently mouthing out the numbers as he reels them off. Up to 200, and then there's a slight stutter, but he recovers and goes past the 212 mark...all the way up to 306! Wow, I'm just not sure I can follow that. But what kind of a sport would I be if I didn't try? I finish with a feeble 88, and congratulate Xian on a game well-played. So, sure...I lost my title, but it gives me a new mark to aim for. Besides, we got free airfare to China and back, which allowed us to see a country that we might otherwise wouldn't have been able to visit. Considering all of the sightseeing that we squeezed in between duties at the arena, partaking of the amazing seafood that Xiamen (and neighboring Gulangyu) had to offer, and experiencing the welcoming people of the region, it was a wonderful - and educational - experience.